Having burned through two prior mobile platforms, HP(s hpq) is said to be looking at a third and will use Google Android(s goog) for an upcoming tablet and possibly a future phone. Taylor Wimberly of ReadWrite reported the development with information from two sources familiar with the matter. The new Android tablet could be announced from HP within a few weeks; potentially at this month’s Mobile World Congress Event in Barcelona. Wimberly’s sources indicate an HP tablet has been in the works since Thanksgiving and is likely to run on Nvidia’s(s nvda) Tegra 4 chip. Nvidia officially announced Tegra 4 at last month’s Consumer Electronics Show but had no mobile partners on stage to announce new products or designs with the chip. Instead, Nvidia showed off its own hardware, a handheld gaming console called Project Shield. I’m not too skeptical of HP actually re-entering the tablet market. After all, the PC business is giving way to fast-growing sales of tablets and smartphones. Plus, HP was already in the tablet market once before: It bought Palm and its webOS platform for $1.2 billion in 2010 and built the HP TouchPad tablet around webOS. Unfortunately, the device was a sales flop and HP quickly killed the tablet as well as its whole investment in Palm and ended up giving much of the platform to the open source community. HP’s mobile history goes back even further, however. More than a decade ago, I carried an HP iPaq handheld running on Microsoft’s(s msft) Windows Mobile software. HP eventually got out of that market too, prior to smartphone adoption really taking off. So it makes sense to me that HP could be making another mobile play here, even though HP CEO Meg Whitman has gone on record to say no new smartphones will be coming from HP this year. I’m more skeptical that HP can be successful in this market. The problem as I see it is that HP has no other choice but to use Android at this point. And assuming it does, it’s now competing against Samsung, the top seller of smartphones and the only company that’s figured out how to make a profit by using Android. Then there’s Amazon(s amzn), which uses Android for its Kindle Fire line of tablets. It makes money by selling content to the devices; something that HP doesn’t have to offer. This story was corrected at 1:47pm with the correct source site of ReadWrite. lately HP has made some really high quality elitebook laptops that compete against high end lenovo’s, that is a pretty limited market. the other thing HP has done for years is make super low priced but crappy laptops. if they do the same they may succeed selling to price conscious customers. how about a $99 – $150 tablet that’s not quite as good as the nexus and made from a shiny plastic. later it could be sold in multiple sizes with some higher end specs but still cheapo construction. this would be applying the same recipe to tablets that HP has brought to laptops for more than a decade. it made them tons of money in laptops(and desktops) so why not repeat with tablets. We need an Android tablet with a screen as good as the iPad’s Retina. Until that happens I won’t buy one irrespective of whether it’s 7 inch or 10 inch. Nexus 10 is better than iPad’s retina. 2560×1600 resolution. What are they going to bring to the table with an Android tablet? It’s not enough to simply put out a Tegra 4 tablet with the same specs as everyone else, there has got to be a compelling reason to buy an HP tablet over a Samsung or another Android tablet! I highly doubt people will buy HP based on their brand alone (which is next to worthless at this point). If they come up with something unique, or have a higher quality product, they might have a chance…if they put out something average, they are doomed to failure. Beats Audio, that is why.. and dont forget to pick up your MONSTER CABLES when you buy this BEATS tablet by HP, and also dont forget your extended warranty.. I never hopes for a company to go under .. but… I hope if there is a war that the enemy tagets the HP headquarters with a bomb. But HP already has an Android based tablet. It’s name is … Touchpad. 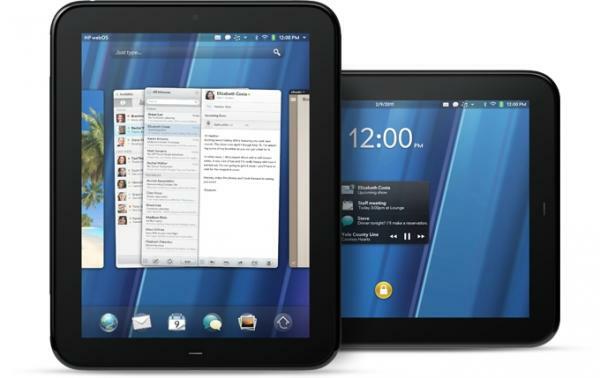 Since WebOS didn’t get much attention, the more lively Android communities came up with the alternatives, using the HP Touchpad hardware but running the latest Android OS versions. I understand what you’re trying to say, but the tablet market is not a “finite” market of say 100 million devices per year, and it’s not an “iPad market” anymore either, as most people seemed to believe not to long ago. Apple has already dropped under 45%, and they might drop under 30% within a year or a year and a half or so. But think of the tablet market as a 1 billion units per year market. When you look at it that way, you realize that there could be some window of opportunity there for HP. But only if they get it right with the devices itself and the branding/marketing. These are big ifs, and it doesn’t make me that confident in HP either. The difference is you’re saying this market is “taken”. What I’m saying is that the market is not taken, but it depends a whole lot on HP’s execution, which right now leaves a lot to be desired, and if I were to bet I’d say they’re going to fail with their first try or two in the market. But only because I think they will fail to impress with the devices themselves. They will probably be wonky, laggy, and buggy, and won’t even have very impressive tech or build quality in them. So unless they figure all that out, then yes, they will most likely fail, but not because other players are that entrenched in the tablet market. Because they aren’t. And if at this point even Apple is not that entrenched, then it’s everyone’s game right now. I actually think the tablet market is even more “open” for taking than the smartphone market. They do also need to create a long term brand, like Samsung and Apple did, but if their first few products are terrible, then either it will impact that brand negatively, or they’ll have to start with a new one a year or two later and waste a lot of time. So again, I think it depends a lot more on their execution. Last time I looked, the #1 and #2 non-iPad tablets were the Amazon Kindle Fire and the Asus Nexus 7. 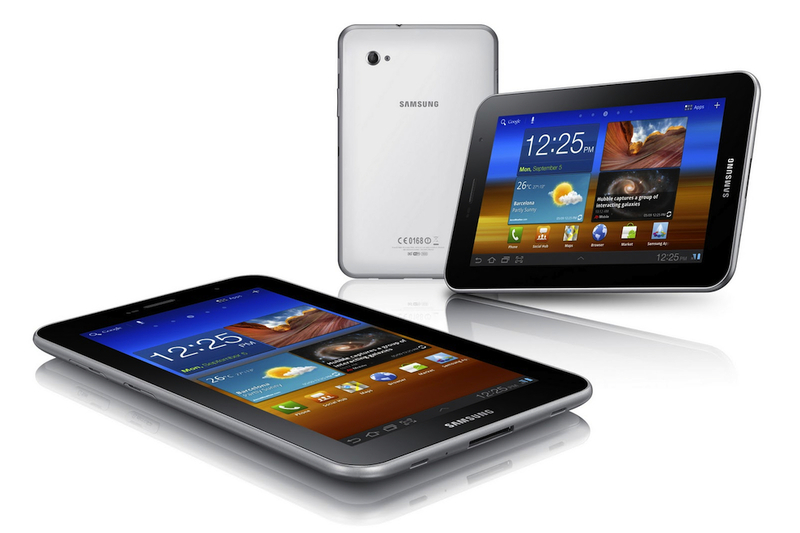 Samsung is doing great with handhelds and phablets, but I don’t think they’ve done so well in the tablet space. That’s a fair point; Samsung is much stronger in Android smartphones than it is in tablets. Even so, there’s already a bunch of established competition here and I can’t see (yet) what HP might bring to the table. Take a look here for global market data. http://www.statista.com/statistics/208900/market-shares-of-tablet-vendors/ Samsung is top of tablets, too (excluding Apple).